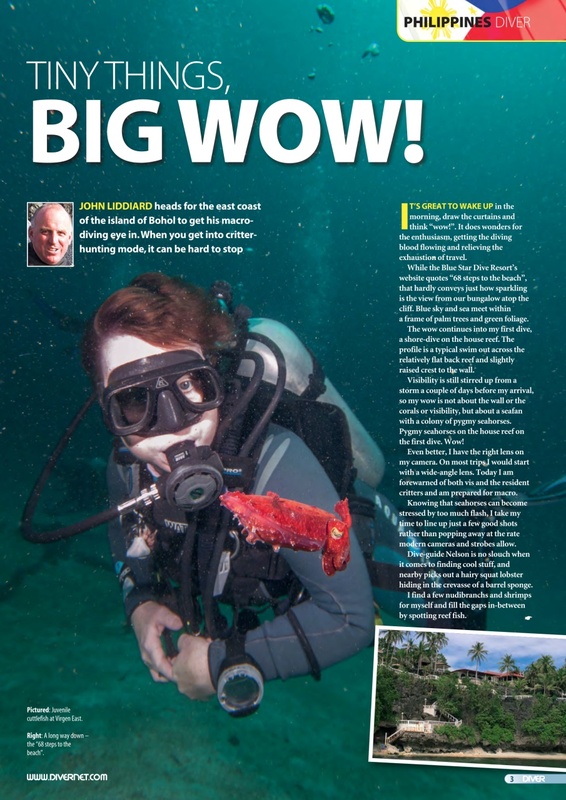 • TINY THINGS, BIG WOW! - Macro-diving in Bohol. 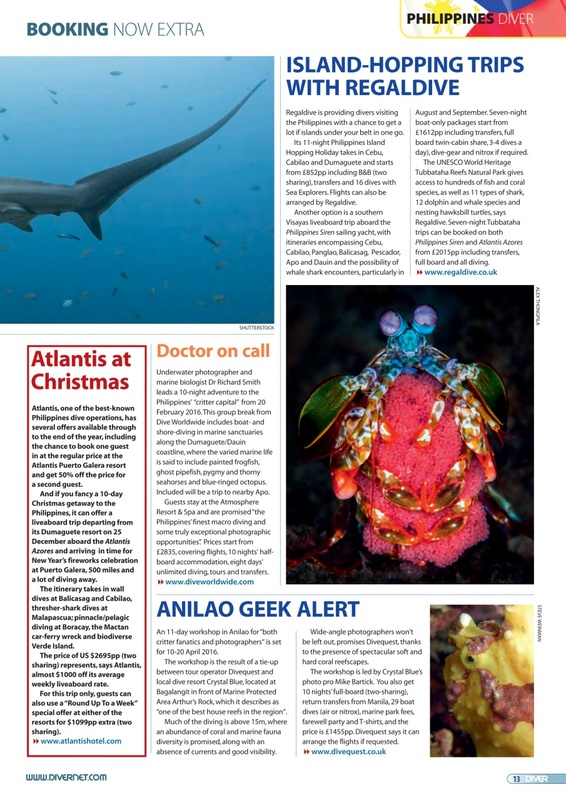 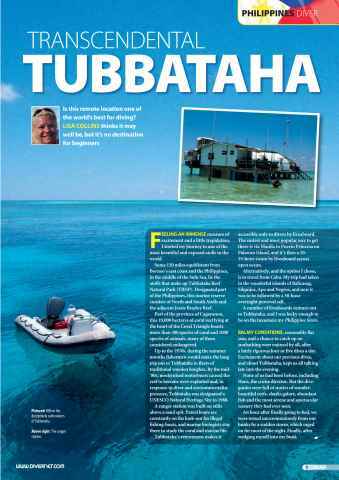 • TRANSCENDANT TUBBATAHA - An adrenaline rush for Lisa Collins. 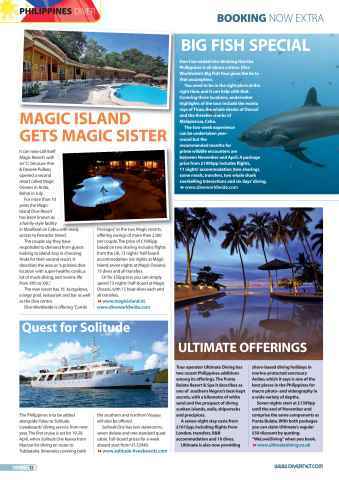 • BOOKING NOW SPECIAL - Holiday ideas in the Philippines. 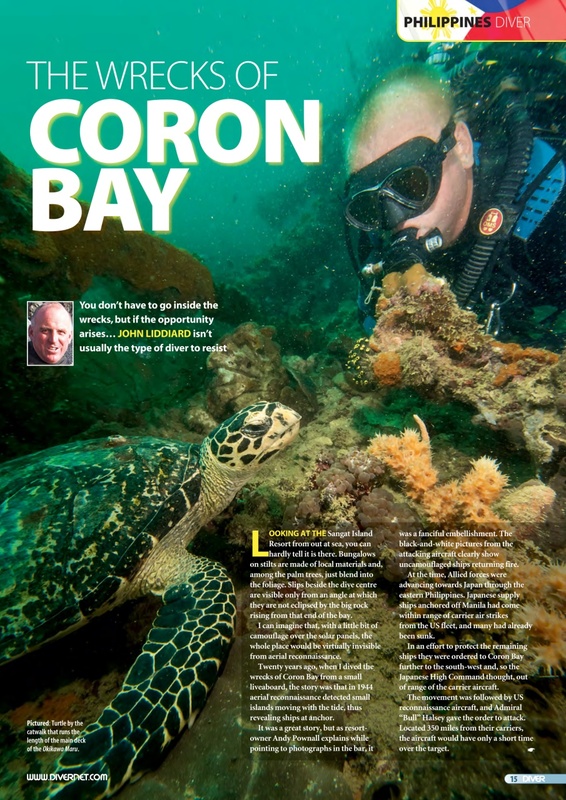 • THE WRECKS OF CORON BAY - John Liddiard is in his element. 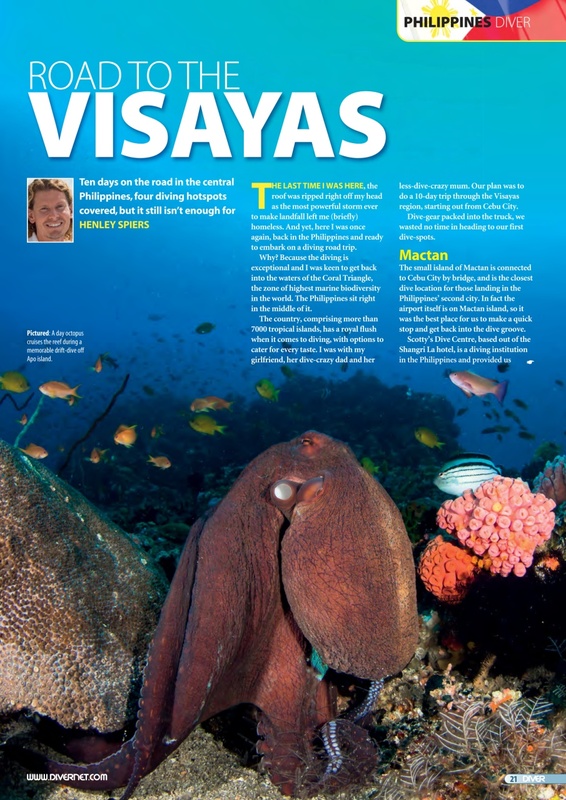 • ROAD TO THE VISAYAS - Hotspots over land and sea, starting in Cebu. • TINY THINGS, BIG WOW! - Macro-diving in Bohol. 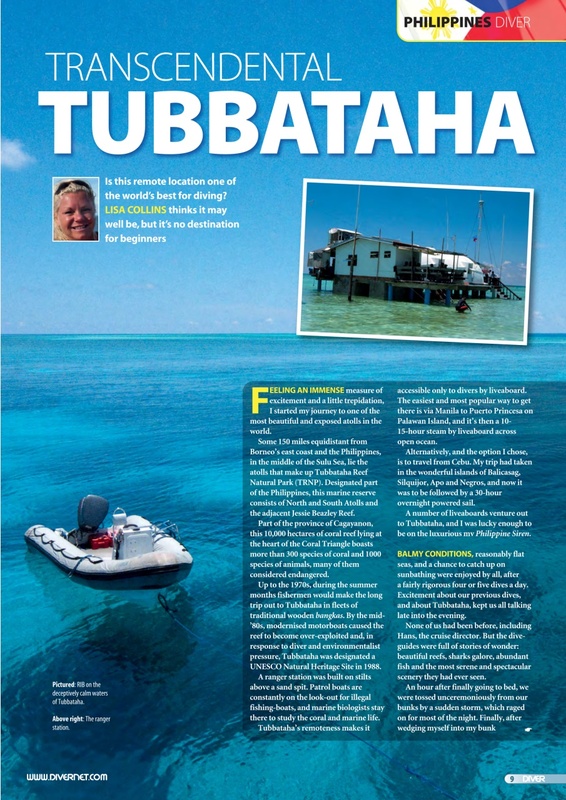 • TRANSCENDANT TUBBATAHA - An adrenaline rush for Lisa Collins. 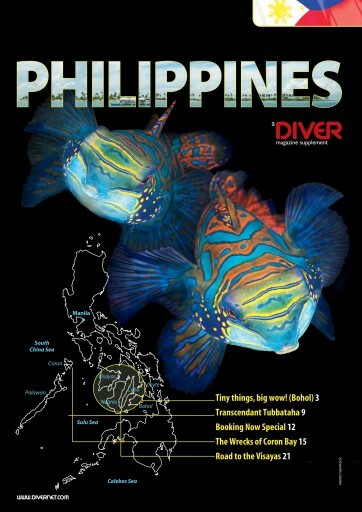 • BOOKING NOW SPECIAL - Holiday ideas in the Philippines. 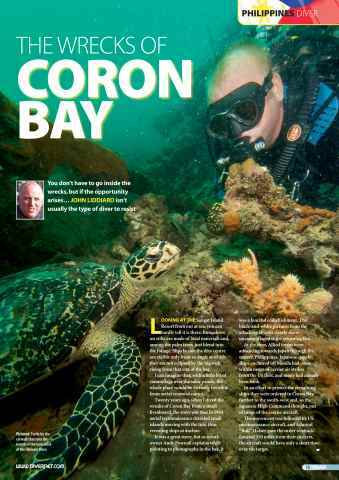 • THE WRECKS OF CORON BAY - John Liddiard is in his element. • ROAD TO THE VISAYAS - Hotspots over land and sea, starting in Cebu.